If you recently moved to Jewell, please complete a utility application and pay the required $75.00 deposit at City Hall, 701 Main Street. 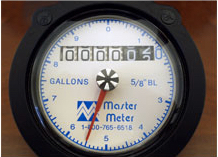 The City of Jewell reads the water meters electronically around the 25th-27th each month. You will receive a postcard bill in the mail by the 1st of every month. If you do not receive a bill, please call City Hall at #515-827-5425 for your balance. Water bills are due the 10th of the next month. You can pay by check or cash. There is a locked payment box located at City Hall for your convenience or you can mail your payment to City of Jewell, Box 486, Jewell, IA 50130. If you do not pay by the 10th, a 10% penalty fee will be added to your account and you will receive a late notice letter in the mail. If you do not pay your bill by the due date, a deliquency letter will be hung from your front door giving you 24 hours to pay or the water will be turned off at the street. If we have to post the deliquency letter, a $25.00 fee will be applied to your account. If you do not pay within 24 hours, the water will be turned off until the entire outstanding balance is paid plus $30.00 to turn the water back on.